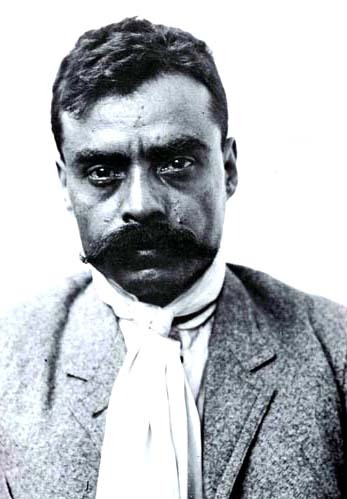 That’s right, the grandson of the famous Mexican Revolution General Emiliano Zapata is living in Texas, has no papers, and is desperate. ¡Qué gacho! The short video features a very handsome and brilliant historian, Professor Roberto R. Calderón, who just happens to be my father (full disclosure, fyi). The story of Diego Alejandro Zapata begins in Morelos, Mexico, follows him as he crosses into the U.S., and now works as a handyman at an apartment complex in Texas. He’s worked as a dishwasher, among other things, is married with one daughter and says, like many immigrants do, that he came here for a better life than he could get in Mexico. The video is worth watching, if you have a few minutes, plus my dad is AWESOME!